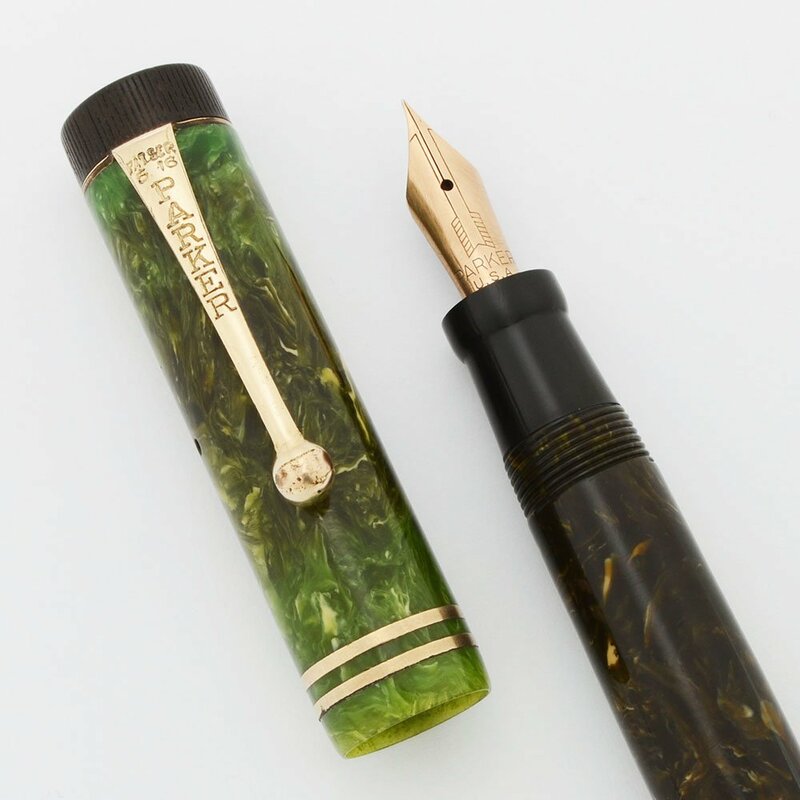 Parker Duofold Junior fountain pen from the late 1920s or early '30s Button filler in the jade green color with gold plated trim and two thin cap bands. 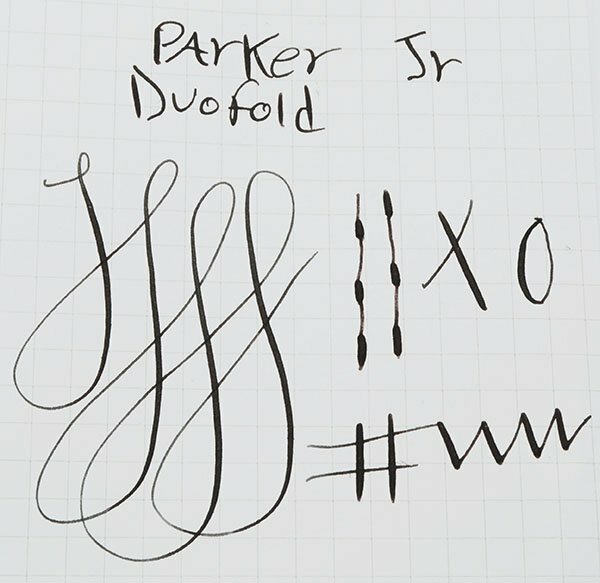 Fine gold Parker Duofold pen nib is smooth and flexible. Nice condition, fully restored and working well. Manufacturer and Year Parker, made in U.S.A. -- 1928-9 (based on the cap bands and the imprint). Filling System Button filler. We've restored it with a new sac and it's working very well. Color Jade green celluloid with gold plated trim and two cap bands. Nib FINE gold nib is a replacement from the Vacumatic era. It is smooth and flexible with nice tipping material. Line variation from fine to medium. See writing sample below. Condition Very nice condition. The pen is shiny with no cracks or personalization. The barrel is fairly discolored to a darker hue and there is some lesser discoloration on the cap. The barrel and cap also have moderate scratching and, particularly the barrel has horizontal scratch marks where the cap sits over it and some small chips and some short deeper scratches (the cap has one teeny chip along the top edge where it touches the clip ring). The clip and trim rings have brassing and some scratching. The imprint is clear.